I grew up with a host of guys named David, Michael and Matthew. Most of these guys were Dave, Mike and Matt. Some, however, insisted upon being called by what was on their birth certificate: David, Michael, or Matthew. They always lamented how every time they met a new person, or had their names called at the DMV or in school at the beginning of the year, they were always Dave, Mike, or Matt. It's a tiny bit different for girls, for whom an Elizabeth could be Beth or Liz (or Betty, Liza, Betsy or a host of other names),a Jennifer could be Jenny or Jen and a Melissa might be Lissa, Lissy, or Missy (but was usually just Melissa). 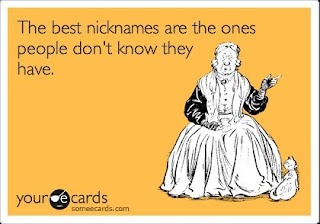 However, there are those who claim their names would also automatically be shortened (A Catherine friend of mine was often called Cathy, though she hated it). 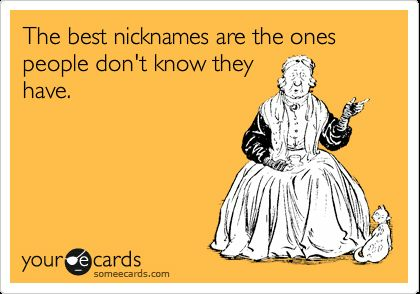 Interesting factoid: a "nickname" was originally a name not connected to your actual name that other people called you. It had to do with your appearance, personality, circumstances, where you lived or whatever. For example, a guy with red hair called Red-- Red is a nickname. Shorty, Scooter, Honey Boo Boo, Speedy, Slim and Stinky McGee are all nicknames (Maybe it's just a New England thing to refer to someone by his or her most distinguishing characteristic and then adding McGee). A short form of a name (i.e., Jenny for Jennifer, Matt for Matthew) is technically a "pet form" or "diminutive." Anyway... Is there a way to nip undesirable diminutive forms of names in the bud? Should you care?